Keeping in mind the potential of pharmaceutical industries both in national and international markets, we are planning to expand our operations in the pharmaceutical packaging sector. 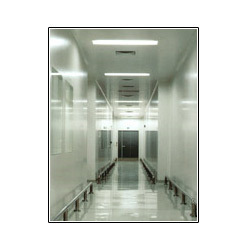 We are setting up a new unit at Vasai, provided with clean room facilities and class 10000 facilities installed by M/s. Retan, Belgium. Our future plan is to get our unit ISO 9002 certified and also getting the FDA (USA) and GMP (European) approval. This unit will have large production capacities with imported IBM & ISBM machines with faster production capacities installed. We will be manufacturing products, such as dropper bottles, vials and syrup bottles at this unit. The products will be untouched till the packing stage. We intend to offer excellent quality packaging material with least labor involved with modern automatized technologies. Competition cannot under-seal nor destroy"